Free admission, but places are limited, please book through this page. As part of its Emerging Practices programme Iniva presents Contemporary Rites as curated by Teresa Cisneros; a three week series of live art performances taking place in the Education Space from 6 – 20 November, where 11 artists and curators will consider the role of ritual in contemporary performance and live art. This afternoon of performance considers the corporeal and projected notions of rituals in the performance of everyday life. Nail’d It is a curated, nomadic nail salon run by Dunya Kalantery & Angelica Sule. Working within the conventional exchanges of a nail salon, Nail’d It provides artist-designed nails for men and women, that are applied by the curators. Current artists include BEHIND THE X, Louise Ashcroft, Patrick Coyle, Nicky Deeley, Clea Jentsch, Alice Morey, Bella Pace, Adrianna Palazzolo, Kate Rieppel and Rafał Zajko. GET REAL WITH RHODA PRESENTS: DIRTY SOUTH, CAN Y’ALL REALLY FEEL ME? – Part of Sass, a Comprehensive Guide. 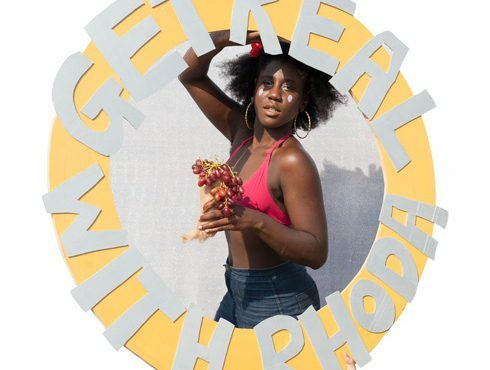 GET REAL WITH RHODA is a brand service. Its current research project, SASS, A COMPREHENSIVE GUIDE, aims to educate on sass as a resistance tool and as a form of power projection with artist Rhoda Boateng. This is a free event but places are limited. Dunya Kalantery is a curator and writer with a particular interest in audience engagement, based in London. She is currently researching the relationship between performativity, desire and labour in social, professional and everyday life. Angelica Sule is a curator whose practice focuses the use of performance and sound in exhibition making, in both conceptual and logistical terms. Rhoda Boateng, GET REAL WITH RHODA is a brand service mainly dealing in tutorial and advice. Its current research project, SASS, A COMPREHENSIVE GUIDE aims to educate on sass as a resistance tool and as a form of power projection.